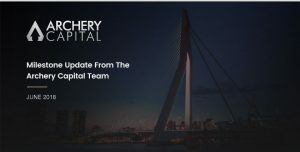 Welcome to the first edition of the ‘Archery Capital Bulletin’. These Bulletins will serve to inform and update stakeholders of Archery Capital on topical issues impacting the finance industry. Archery Capital is the brainchild of a number of professionals who noticed a gap in the finance industry’s service proposition to the SME sector. There appears to be a significant rise in the number of SME’s facing increased difficulty in either obtaining or continuing their financial arrangements for their businesses. This is in large part being driven by the increased scrutiny facing major lenders by their regulatory body which requires them to tighten their lending criteria. The response of the major lenders to this headwind is to apply a broad brush approach to their customer base, and to freeze out businesses, particularly in the SME sector from securing or continuing with their finance arrangements, irrespective of their past credit performance, or without regard to their core business fundamentals. The experience for these impacted businesses in this scenario is one of frustration, as they are faced with an immediate pressure to refinance. In a large number of cases, they have little or no experience in seeking alternate forms of funding beyond the traditional big lenders. This is where Archery Capital can help. Our goal is to provide our customers a professional service delivered expeditiously, whilst ensuring that their funding requirements are dealt with efficiently. We aim to be a trustworthy company that is easy to do business with. With a team of professional advisers who have a plethora of experience in Banking, Accounting, Legal, and Business Services, we will provide the relief that is being sought by our customers through either providing the funding for their business needs, or at the minimum to source the right pairing with lenders that can assist via our trusted panel of partners. Unlike the big lenders, Archery Capital’s goal is to distinguish itself by providing a personalised bespoke and targeted financial solution aimed at alleviating the pressure that our customers might be facing. We take a long-term view of eventually repatriating the borrower to a first tier lender. Our very point of distinction is our ‘Case-by-Case’ approach which allows us an agility that our competitors do not have. Our expertise also gives us the edge over our competitors in our industry. Our two customer facing partners both come from the Big 4 Banking sector and have between them more than 40 years of experience in dealing with a variety of clients across the business spectrum both globally and locally. Below is a brief bio on Prini Acharrie and Paul Bailey, who are our primary contact for all Archery Capital enquiries. Prini’s most recent role was as the Global Head in charge of the National Australia Bank’s International Migrant Banking Division. He managed a team across various countries and financial institutions within the Nab Group, which included Bank of New Zealand (NZ) and Clydesdale Yorkshire Bank (UK). Prior to this role, Prini worked as a Director in the Nab’s Group Strategic Business Services where he managed a $1.2 Billion portfolio of high-end distressed corporates. When he joined the Nab in 2008, Prini headed up the NSW/ACT Strategic Business Services Workout Division through the GFC. Prior to being in banking, Prini worked in both the Accounting and Legal fields. Prini holds professional memberships with the Law Society of NSW as a solicitor, and is also a member of ARITA (Australian Restructuring Insolvency & Turnaround Association), and INSOL (International Federation of Insolvency Professionals). Paul also joins the team having previously worked with NAB. Paul was with the NAB for 18 years undertaking various roles with both frontline and operational responsibilities before spending the last 6 years within the Migrant Banking team where he worked with Prini as his 2IC. Paul has over 10 years of experience in Sales and Operation Management and will be in charge of Sales and Marketing for Archery Capital. The only certainty that the recent Federal Election delivered was that the big lenders are clearly in the spotlight in a potential hung parliament. 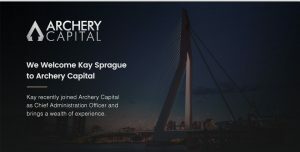 Archery Capital wants to help the casualties of the fallout of this uncertain landscape, and our process and proposition is built with the aspirations of our customers being at the core of what we are at Archery Capital. We do not have the challenges of bureaucracy that our customers are used to facing which can lead to them losing precious time over a funding decision. Nor do we have numerous layers between our client facing team, and our creditor/decisioning committee. Our process is aimed at being both efficient and timely which should enable us being a facilitator between our customer’s prosperity and their financial health. We will always aim to innovate consistently to stay in front of policy and industry changes and to improve the efficiency of our business, and the overall client experience. We are very excited about the future of Archery Capital and look forward to working with you. Please feel free to contact either Prini or Paul on the numbers below for a genuine chat on anything you believe we might be able to help you or your clients with.